You know all those things you've always wanted to do? You should go DO them! The things that last longer than you. The things that run deeper and are more thrilling than skydiving. The things that make you come alive! 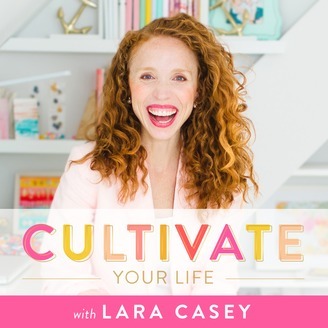 Cultivate Your Life with Lara Casey, best-selling author and mom to three, is a weekly podcast where Lara will guide you to bridge the gap between where you are now and where you want to be. Each week she'll talk about how to uncover what matters to you in the big picture, and start acting like it today. Whether you're feeling stuck, overwhelmed, or in need of some refreshing truth, you are in the right place! So, you want to start a garden—but you're overwhelmed. There's so much information out there and so many resources. You just want to be told how to get started, in plain language. You want to know: 1) What to plant. 2) When to plant it. 3) How not to kill it. Well, my friend, let's talk. Because no matter how far from green your thumb is, YOU can become a gardener, too. 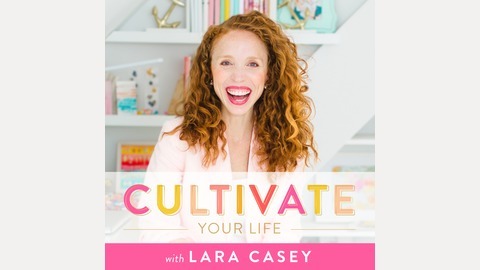 Get the show notes and full transcription at CultivateYourLife.com and find more tips and encouragement from Lara at LaraCasey.com.